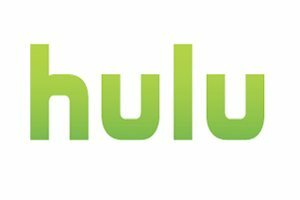 Hulu seems to be drawing the attention of quite a few potential buyers after it was suggested that the company was considering the sale of its video streaming business. According to the latest report on the Los Angeles Times, potential buyers include the likes of Google, Microsoft, Yahoo and handful other technology and media companies. At this point Google is looking the most likely buyer; the search giant is already a major presence in the online video market through YouTube and a tie-up with Hulu would further consolidate its strength in Internet broadcasting. Yahoo is also very interested in bringing premium content to its floundering yet still popular portal, whereas Microsoft could benefit from strengthening their video streaming offerings through the Xbox Live platform. Hulu's financial advisors, Morgan Stanley and Guggenheim Partners, are reportedly setting up the meetings with several industry giants hoping to bring in at least $2 billion for its current owners Walt Disney Co., NBC Universal, Comcast Corp., Providence Equity Partners and News Corp. The balance between these "old media" companies' interests and Hulu's nature as a new media venture is often viewed as an obstacle when it comes to decision-making. A buyout could consolidate control of Hulu under a single entity and help it focus its strategy better, but negotiating with content providers and keeping them happy might prove even more difficult than it already is as these companies pursue their own streaming plans. Two of the media firms behind Hulu, Walt Disney Co. and News Corp., recently renewed licensing agreements to make Hulu more attractive for a sale. But without long term content deals in place, Google or whoever ends up buying the company would risk paying through the nose for shows when current content deals expire.